"How far is it? How far to deliver the bunker? How far to carry on the water? How far to the pin?" These are the most common question on any golf tour. On the golf course, you play on spot, not play on area. This is why you have to know the exacted distances. Accuracy could be everything on the golf course. Why risk it? Measure it. With our compact and easy-to-use PaceCat-1000 Laser Rangefinder, finding accurate yardage can be as simple as aim and click! Not limited to just the flag, the PaceCat-1000 can range the bunker, water hazards, trees, greens and everything else on the course with ±1 yard accuracy. Weighing only 6.7 ounces, this palm size, weather-proof device is packed with features. For example, the read will remain on screen for 10 seconds, an effective measurement range of 5 to 1000 yards, and yard-to-meter unit toggle at the push of a button. SCAN mode also comes preprogrammed, which allows you to pan across the landscape while viewing a continuously updating LCD display of the distances between you and the targets you scan. Pin seeker function gets accurate target measurements every time, because it isolates your target from the noisy background. When more than one object is detected, the closer of the two is displayed, so the desired distance is accurately calculated every time. 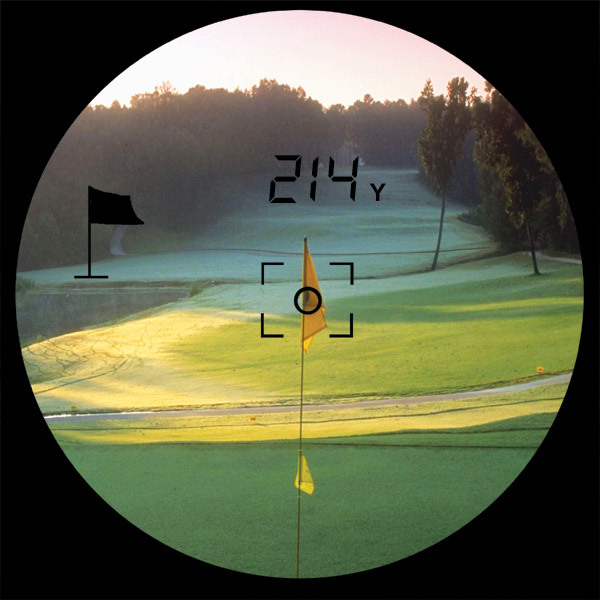 This high quality laser rangefinder will allow you to playing with confidence: a must-have device for your golf bag! Comes with battery, carrying case, and manual, the PaceCat-1000 Laser Rangefinder is ready to use straight out of box.